garnet. 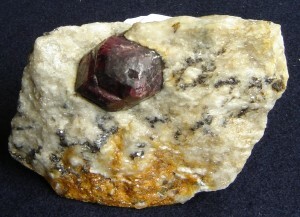 There are lots of different types of garnet. I generally think of these as a small crystalline red-brown rock.